South Australian grain farmer Mark Branson first adopted precision agriculture technologies in the late 1990s. Twenty years on, he’s got a few tips to share. Preparing for his presentation to the Global Forum for Innovations in Agriculture In Focus event held in Brisbane in late November, farmer Mark Branson went through the books to see what years of effort in precision agriculture added up to. And it is no small figure. According to his calculations, precision agriculture saves Branson Farms $87.42 per hectare for additional expenses of $14.39/ha – an annual saving of $65,727 across the board, or $73.03/ha for the 900ha of farmed land on his 1,200ha property. Speaking with Farms & Farm Machinery before the event, Branson said the extent of the savings was largely due to the fact that precision agriculture was heavily integrated into his farming practice. "I am probably the only one who is doing it in a big way like this, but I do have neighbours that do parts of it, like control traffic, the phosphorous variable rate and others," he says. "So this is a profit I am getting, over someone who hasn’t taken on any of that technology." Aside from a flock of fine wool Merinos, Branson and his family focus mainly on growing durum and bread wheat and malting barley, as well as canola, faba beans, field peas and lentils on their property outside Stockport in South Australia. A fifth-generation farmer, Branson himself has long been an early adopter of precision agriculture technologies – investing in yield monitors in 1997, one year after they first arrived in Australia. The first move, he said, was to create management zones and land classes through using soil mapping – isolating the segments of highly erodible soils on the property by redirecting the fencing to put them in separate paddocks. "Back in those years, after doing the analysis on the fencing changes, I was able to gain $10,000 a year by re-fencing the farm," he says. But the savings didn’t come easily, Branson says. While the early yield maps did reveal variations in soil quality, it was a while before he figured out what to do with the information. "It was good in 1997 to see the variation and whatever else, but so what? You have a pretty coloured map that didn’t do anything," he says. "It wasn’t until I found a use for the yield maps that I twigged that you need to have a use for the technology first – before you buy the technology." Today, Branson himself handles much of his property’s yield mapping needs, combining them with local knowledge – such as noticeable differences in soil colour – to identify Sodic soil patches where gypsum is needed. "I also use a third party to pH map my paddocks using an On-The-Go Verris pH sampling machine, which, when connected to a GPS, creates information ready to map," he says. This pH data is then inserted into maps developed by mapping software package SMS Advanced, allowing him to identify exactly where certain nutrients are needed and in what quantities – enabling him to treat them accordingly. Branson says the SMS Advanced package does not need fast NBN to work, with the maps able to be connected to the farm machinery via USB. However, the family’s access to NBN fixed wireless services has made it possible for Branson to use a Phantom 4 Drone and the Drone Deploy system to identify weed patches on the property. The software system takes individual photos across the paddock and puts them together into a map, showing where weed patches are on the property using high resolution maps that Branson says requires access to high-speed internet. "That might be the next step in precision agriculture, in doing this kind of thing and using the Cloud to do it… it needs fast speeds and a lot of data," he says. "But other than the drones I don’t need it." Using the previous year’s yield maps, Branson can find where phosphorus lost through harvested grain needs to be replaced, while a mix of historical knowledge and in-season biomass sensors shows where nitrogen is needed. Branson estimates that the amount of money he saves by not spreading phosphorus, nitrogen, gypsum and lime in areas where it is not needed is about $72.31/ha – the largest part of his estimated $87.42/ha precision agriculture saving. "The big one on that is the nitrogen saving, by putting it where it should go, plus what rate and when, rather than wasting it by putting it across the whole paddock," he says. "If there is a permanent area of the paddock that has never yielded very highly compared to the rest of the paddock, it gets lower nitrogen." "Otherwise you are wasting the nitrogen and you are probably hurting the crop because you are overdosing the nitrogen in certain areas," he says. Sadly all the planning in the world can do little in the face of disaster – such as that faced by Branson, his neighbours and the owners of an estimated 86,000 hectares of scrub and farmland destroyed in the Pinery bushfires that struck South Australia in late 2015. Branson told Farms & Farm Machinery that he had lost four fifths of his main property in the blaze, including precision farm equipment that then had to be replaced. Rebuilding after the blaze meant it was time to reconsider the fencing plans first developed with reference to those early soil maps. "We are able to get more soil into the cropping land now than previously… and precision agriculture has allowed me to place the nutrients in the different soil types anyway. I have got machines now that are able to do that," he says. "We have redesigned the fencing plan to allow better controlled traffic than what I had before – so I am taking out bends and creating more straight lines where controlled traffic fits into the system." A controlled traffic, or tramline, system creates defined pathways for heavy farm machinery, in turn helping to further improve soil quality in places where it is less heavily impacted. 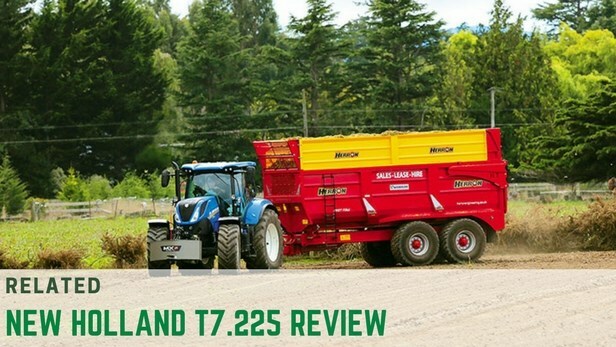 That took on a new importance this year, with Branson investing in a new 45-foot (13.7m) flex straight on the farm’s New Holland 7090 harvester this year – allowing it to be a part of the farm’s controlled traffic system. 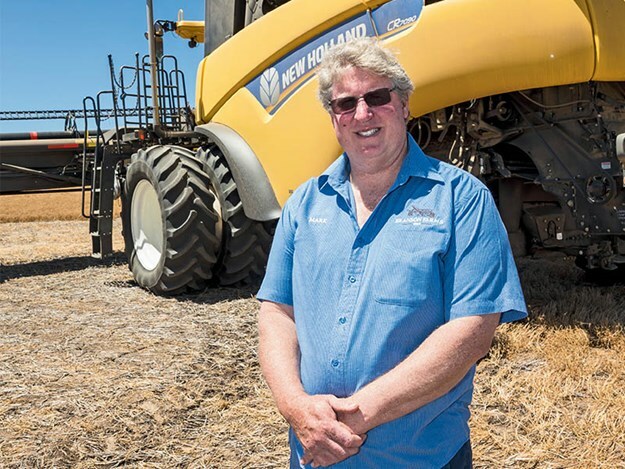 "In SA we don’t get the soil compaction that you might have in Queensland or northern NSW during the summer months… but sooner or later I was going to go down that line – I just needed to bite the bullet and buy the bigger front to do it," Branson says. 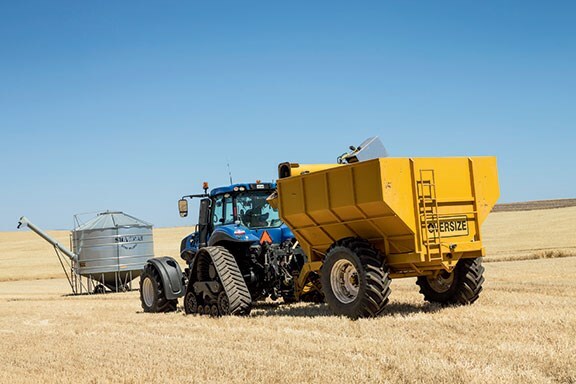 "We have to pull off the line when we are harvesting but we go back on the line to go back to the bins or truck that is sitting on the side – so it does autosteer up and down the lines, but not when we are emptying out. "That will probably be the next project, to adapt the chaser bin so we can go right out on the end of the lines and do it… it’s going to be quite an engineering feat" he says. 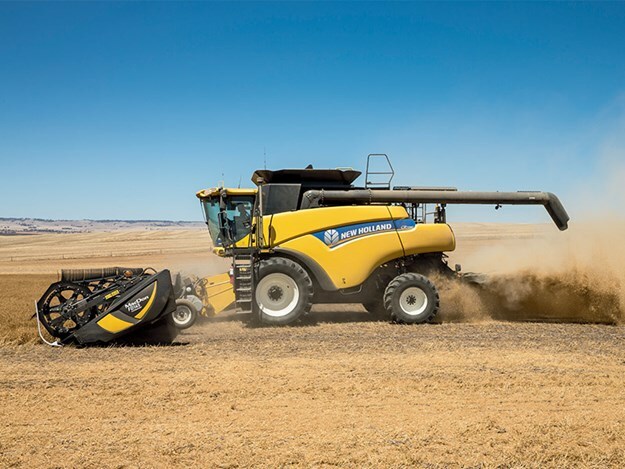 Upgrading the farm machinery after the blaze meant Branson could also adopt other new technologies, acquiring a New Holland SmartTrax T8-435 tractor and a Bourgoult parallelogram seeder with individual depth control. Branson also uses a Miller Nitro 5333 sprayer with a 39.5m boom and a Kuhn spreader for urea, which like the sprayer can reach a width of 39m. The sprayer and another Agrispread spreader, used for lime and gypsum and also able to sit on controlled traffic lines, are also used for contract work on neighbouring properties – using downtime efficiently and raising additional funds for the business. Ultimately, it’s another solution to another problem – which is a point that Branson comes back to for other farmers wishing to move further into precision agriculture investment. "At the end of the day, the only way we are going to feed people into the future with our depleting resources is by adopting precision agriculture technologies," he says. "But precision agriculture is about solving problems, not buying trendy tools or services… have the problem first and then work out the best tool to solve it. "There are a lot of firms out there that try to sell you something that looks pretty on the surface, but unless you are solving the problem you are wasting your money," he says.